2. 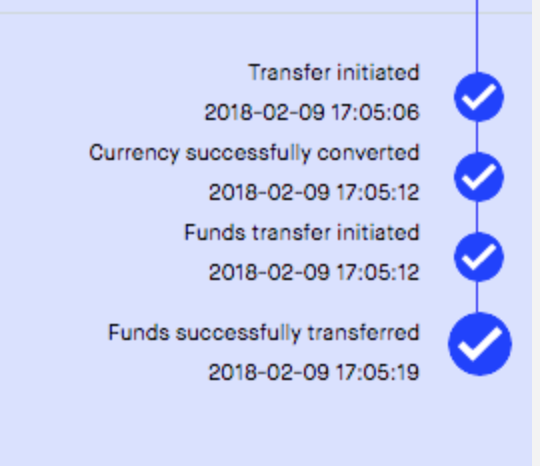 Once FlashFX receives your funds, you will get an email saying that your deposits have cleared. You are now ready to transfer. 3. Select “Send” from the dropdown menu on the dashboard. Enter the amount of AUD you would like to send. FlashFX will show you an estimated USD amount based on the expected exchange rate and notional. Note that clicking “continue” does not confirm your transaction, you will still have time to verify all the information before sending. 4. Select the “Send to Ripple Address” at the top of the payment details screen on the next page. and your personal destination tag (not your account number). Enter your details as the recipient. 1. Before you transfer FlashFX funds from Bitstamp, "request" a withdrawal on the user dashboard. This is how we recognise that the funds coming into our Ripple wallet are from you. 2. Input the amount of money you are looking to convert. 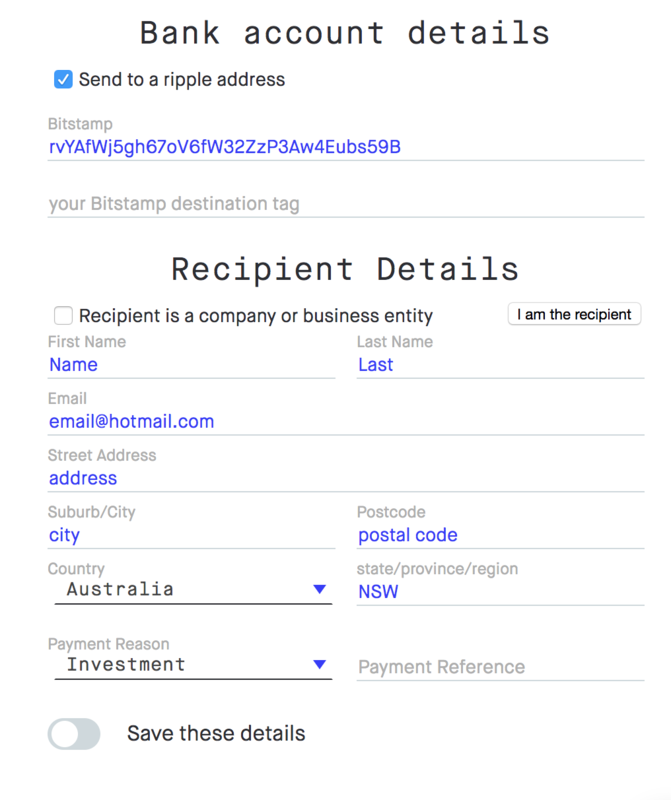 If you are sending from Bitstamp you will be requesting a USD → AUD transfer. You will confirm your conversion rate later, once your funds have arrived in FlashFX’s Ripple wallet. 3. Provide details for the person who is sending the money. If you are the sender, enter your personal details here. Select “Sending from a Ripple Address”. You do not need to enter a destination tag when requesting a withdrawal from Bitstamp. 6. Once the funds have arrived in FlashFX’s wallet and have been processed you will be notified by email. 7. Confirm the final exchange rate on the FlashFX user dashboard and designate the bank account for the deposit. The bank account name must match the name on your FlashFX account, otherwise there may be delays associated with your deposit.